one woman, one life, and nine lives worth to pack into it. 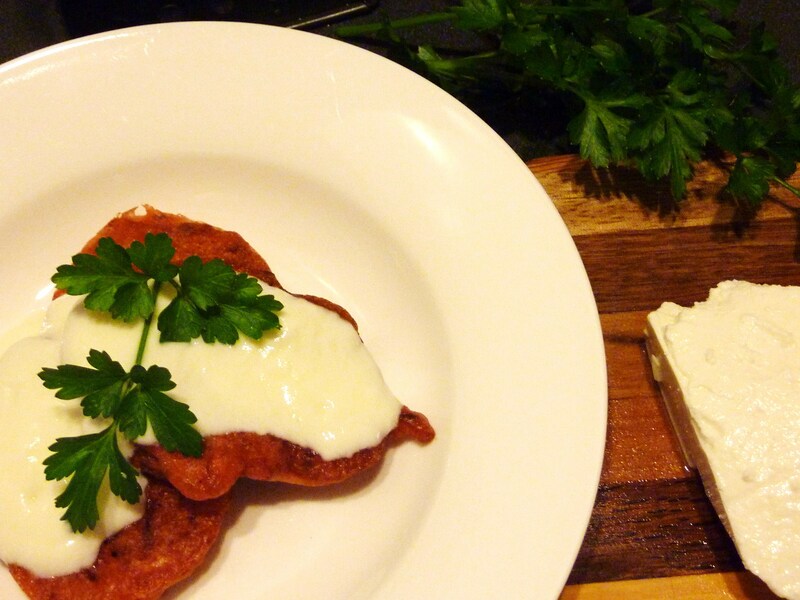 Sunday Suppers: Feta and Vegetable Fritters: What’s in a Name? 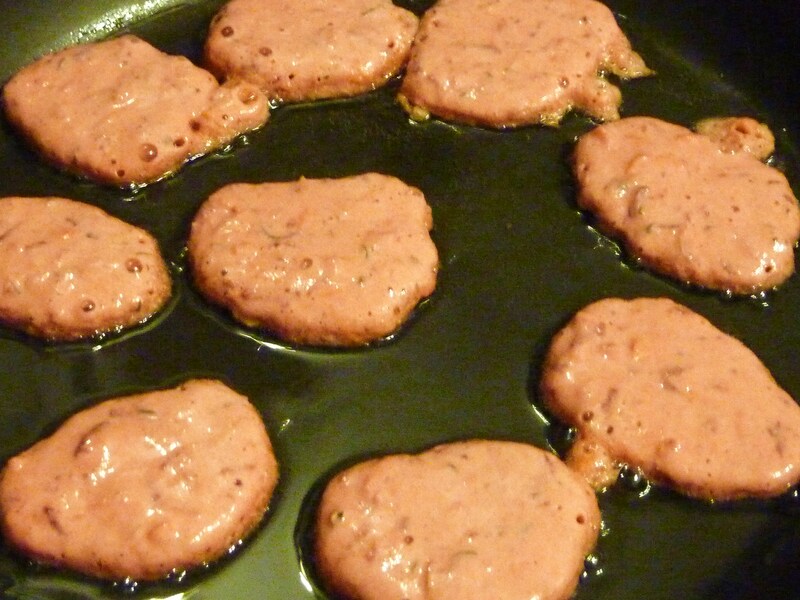 Prior to the addition of feta cheese, these fritters were pink fairy confetti pancakes. But let us be clear. No number of girlie names will get my kids to eat anything they don’t want to. I should know. 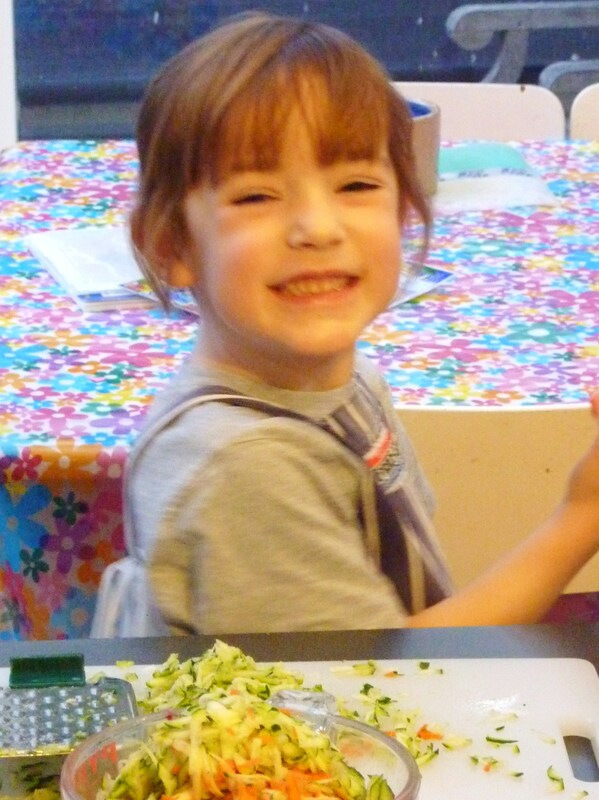 There was a time when Francesca would happily devour baby cabbages and fairy trees (Brussels sprouts and broccoli florets to you). It didn’t last. Parents who consider tales of Santa and the Tooth Fairy to be gross fabrications destined to destroy the mutual trust underpinning the fundamentals of the parent-child relationship (and I know you’re there) can relax. It wasn’t a matter of misleading my first born. At no point did I tell her that she would be able to see fairies, grow wings, learn to fly, look thinner, reverse hair loss, double her income or get more dates, although for all I know my mother might have. It was a simple effort to connect with a more interesting world to get those first bites in before she had a chance to think, “I’m not eating that, it’s green.”. We enjoyed a period of some months before greenism really set in (I know not from whence). I tried again with Lydia, but parenting can be tough without isolation chambers. Child 2 quickly learns to read the attitude of child 1. You’ve lost before you started. 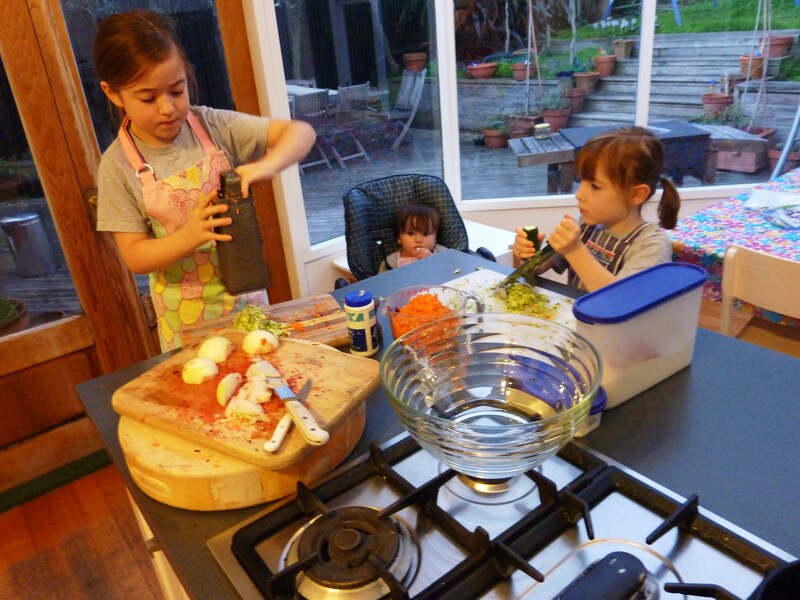 If you’ve been following this blog, you may recall my reckless undertaking to involve my children in hands on cooking once a week. My kids and husband don’t actually know about this, but I have you, Gentle Reader, to keep me honest. So when it came time to prepare this Sunday’s supper, I rounded up the girls, closed my eyes (figuratively anyway) and let them at it. I diced the onions, grated the tricky bits and did the frying, but they managed the rest themselves. Yes, Francesca grated a knuckle, but, as she herself pointed out, it wasn’t going to hurt any more now than in a couple of years time. She had a point. And up-to-date tetanus shots. This simple recipe made for an excellent cooking class. We covered measuring out ingredients (yes, Virginia, there is a correct way to scoop flour), blending wet ingredients into dry (without getting lumps), separating eggs, beating whites by hand and folding them through a heavier mixture. If they remember any of that, they’ll be ahead of many home cooks. The best bit? Despite the vegetable content and complete transparency, each sat down and cleaned off a fritter per year of life without any begging, pleading or cajoling. I hardly knew what to do with myself. Even baby Ursula, who had observed the whole procedure with keen interest, put away nearly two and the leftovers were in demand for afternoon tea the next day. Total success? OK, so they didn’t want the feta. Occasionally I know when to cut my losses. Time for that later. It was easy enough to cook some fritters without feta first and then to add feta to the remaining batter for the adults. I made way too much, so I’ve halved my ingredients to give you generous serving for four. This is a versatile fritter batter that will see you through pancakes sweet and savoury, crisp or soft, freshly cooked or made ahead and frozen. We used 1 medium carrot, 11/2 large zucchini (courgettes) and 1/2 a medium beetroot (red beet). Keep adding until you’ve made up the volume. Try other vegetables like sweet corn, capsicums (bell peppers), spinach, grated celery (go easy and remove the strings first), pumpkin or squash. Finely chopped cooked vegetables can also be used, handy if you have some leftover from the night before. 1. Grate and measure the vegetables, dice the onion and set aside. If the vegetables are particularly watery, you may want to salt them lightly and drain in a sieve or colander whilse preparing the batter. 2. 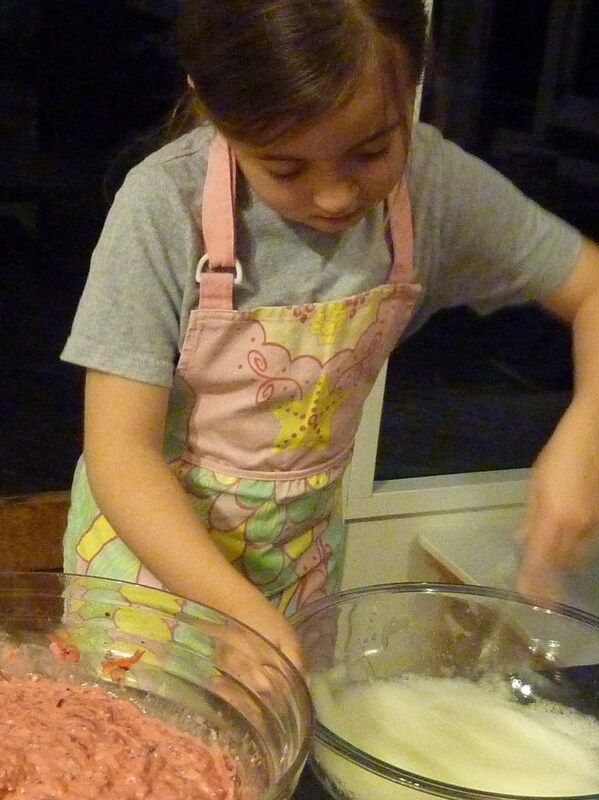 In a large, c. 2 litre (quart) bowl, add flour, mix in the baking powder, salt and pepper and make a well. 3. Separate the eggs. This stage is not essential, but makes for a much lighter fritter without adding more baking powder, which has an unpleasant taste. Add the yolks to the well and put the whites in a large clean bowl. 4. Measure out the first 3/4c of liquid. I used milk to maximise the nutritional value of the dish, but water works fine, and soda, if you have it, is best of all for a light, crisp result. If you’ve used tinned whole kernel corn, you can also reserve and use the liquid drained from the corn. 5. Add the liquid to the eggs in the well, beat together lightly and then, using a wooden spoon, keep stirring, gradually working more and more of the flour mixture into the egg mixture. Add the vegetables and any herbs. This mixture should not be too stiff. You want it to drop easily from the spoon without being runny. Keep in mind that the egg whites will loosen the batter a little more. If it seems too dry, stir in a little more liquid. 6. Whisk the whites until they hold peaks. It really doesn’t take long by hand, if you don’t have a mixer or, like me, can’t be bothered getting it out. Fold in the whites: add 1/3 of the whites to begin with, work them in gently using a spoon, a cutting rather than stirring motion and rotating the bowl as you go. Once incorporated, repeat with the balance of the whites. If you have left the eggs whole, omit this step. The batter with the balance of the whites added but not yet folded through. 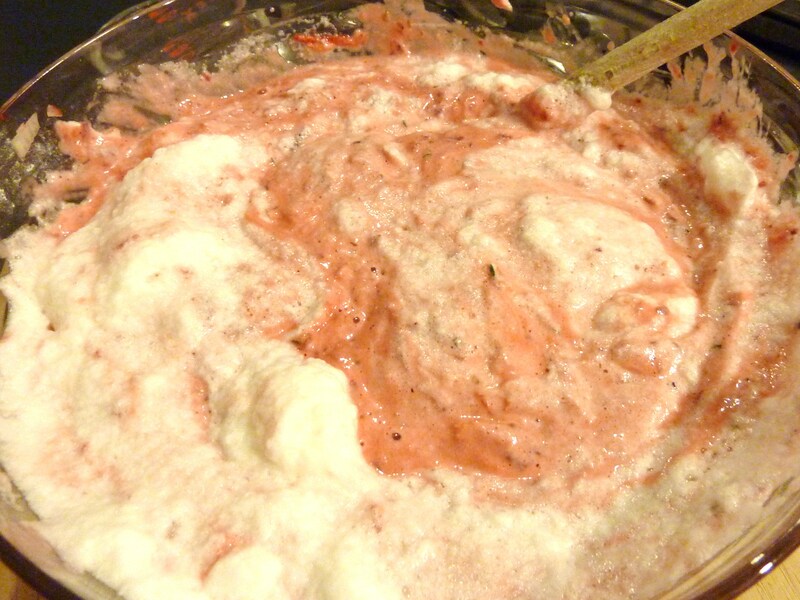 If you’ve used some beets, don’t panic, the pink cooks out, though it may colour the feta slightly if you use it. 7. Add the feta (if using), fold through until the mixture is just uniform. 8. Heat vegetable oil in a heavy skillet. Add heaped tablespoons of the mix to the pan to form 8cm (3″) fritters or your preferred size. If you have a good non-stick pan, you can get away without any oil at all. In that case your fritters will not brown so much and will remain soft, more like breakfast pancakes. If you use oil, you will get a crunchy fritter, but be sure to keep the pan hot enough so that the fritters seal before they absorb a lot of oil. 9. Cook until the fritters are golden brown on the underside, bubbles appear on the top and the pancakes begin to set around the edges. Turn over and cook until the second side is also golden brown. Nearly ready to turn: some of the back ones are just starting to set at the edges. Ready to serve when they look like this on both sides. 10. Serve immediately, or transfer to a roasting pan or tray with a rack over it, or lined with scrunched up kitchen paper. If using paper, try to lean cooked fritters on their sides and avoid stacking. 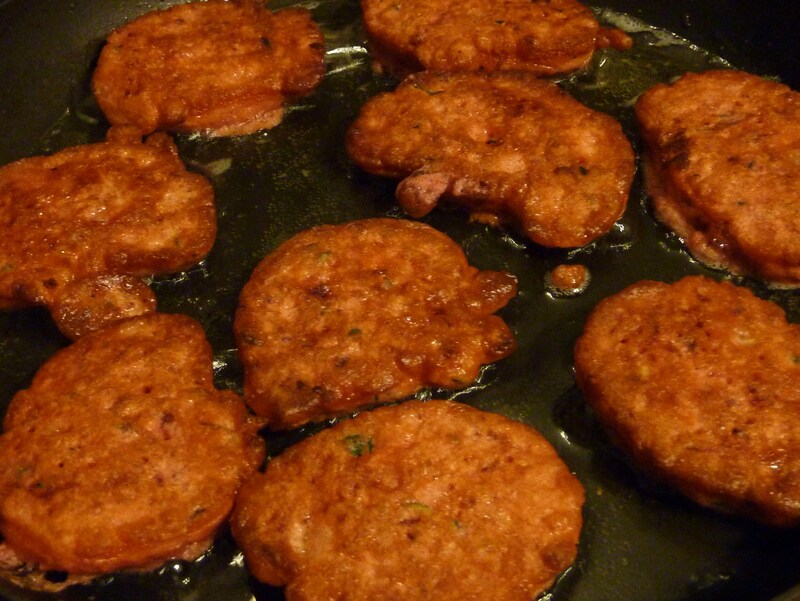 This allows the steam to escape from both sides of the fritter and stops the fritters from going soggy and limp. Sprinkle with sea salt before they cool completely. 11. You can make these ahead of time. Cool completely, then refrigerate or freeze in an airtight container, separated by layers of cling film. To reheat, arrange in a single layer on a baking tray (cookie sheet) and heat in a 220 C (430 F) oven until they are heated through and bubbling at the edges. You can do this from frozen. If you know you will be reheating, under-cook slightly the first time so they don’t burn while reheating. 12. For a tasty appetiser, make fritters with one vegetable (say corn) and serve topped with crisp bacon, avocado and sour cream. Especially good with a touch of red capsicum jam or sweet chilli sauce. For finger food keep the fritters bite sized. 13. For a sweet version, replace the teaspoon of salt with castor sugar, omit onions, make up the liquid with water or milk (soda water is salty) and a touch of vanilla, and fold 1 1/2 to 2 cups of berries, bananas or cooked, very well drained apples into the batter (in place of vegetables, onions and herbs). If berries are frozen, be mindful that the fritters will be much colder and will take longer to cook. For improved flavour you can also add some butter to the cooking oil. To serve, dust with icing sugar (and cinnamon if you like it) and serve with whipped cream, yoghurt or sour cream. Yum.